We here on the west coast have been stricken with wind, rain, and sleet these past few days (what happened to April showers?? 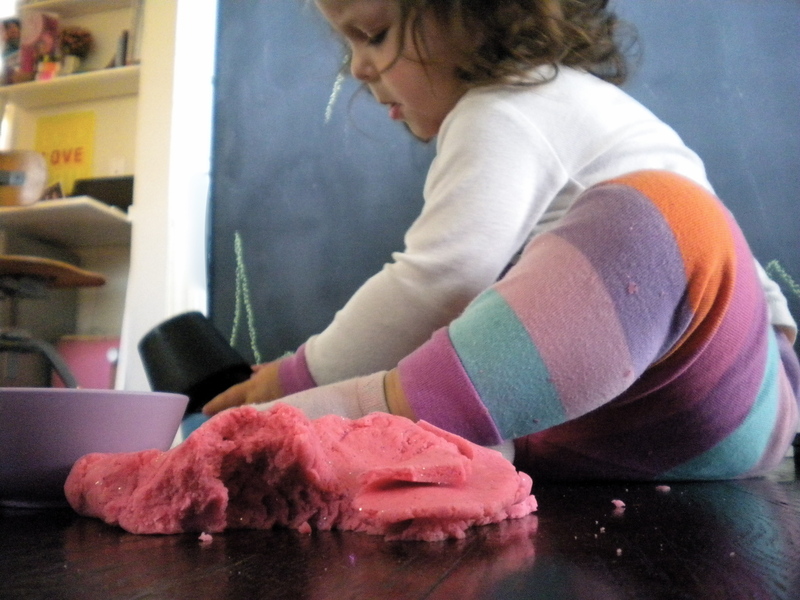 ), limiting springtime play to indoors. 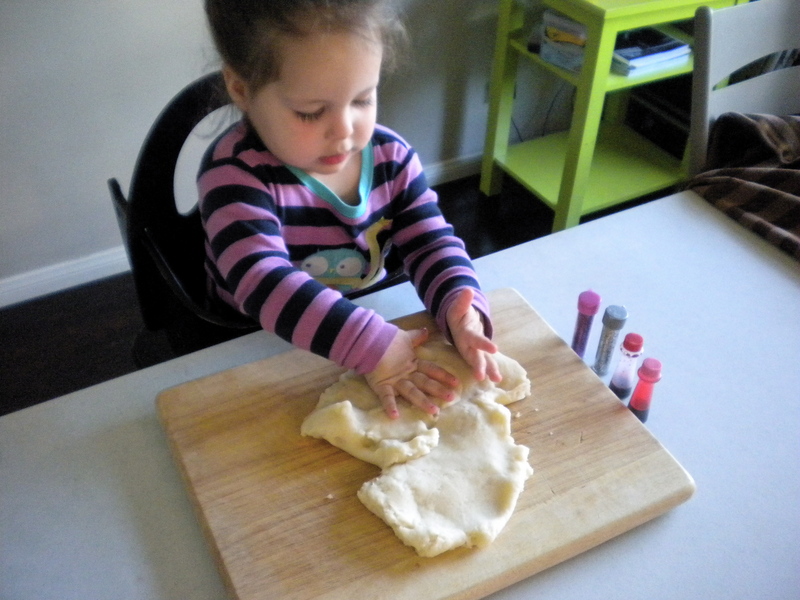 While I usually feel confident enough with my arsenal of indoor-activities to stay home-bound for at least a few days, I was sort of at a loss for what to do with Freida this week. 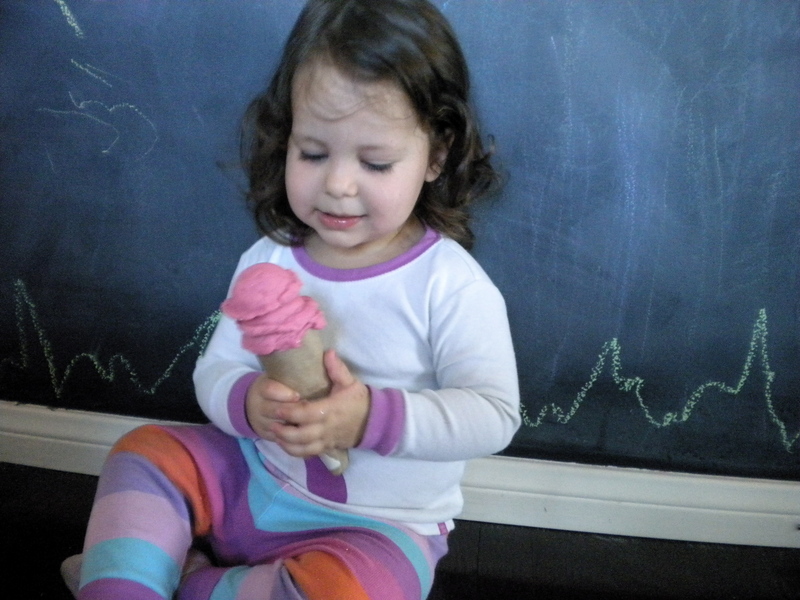 She's really growing up, thank God, and she's not as easily distracted with common goods as she used to be. As the rain continued to come down well into the morning, and the DaddyFroo decided to stay and work from home to avoid the weather-exasperated commute, I really had no interest in schlepping Freida out in the rain and had to come up with some no-screen entertainment fast. Cooking together always seems to make the morning fly by, but I like to reserve that for Friday (when I actually need to cook with her). 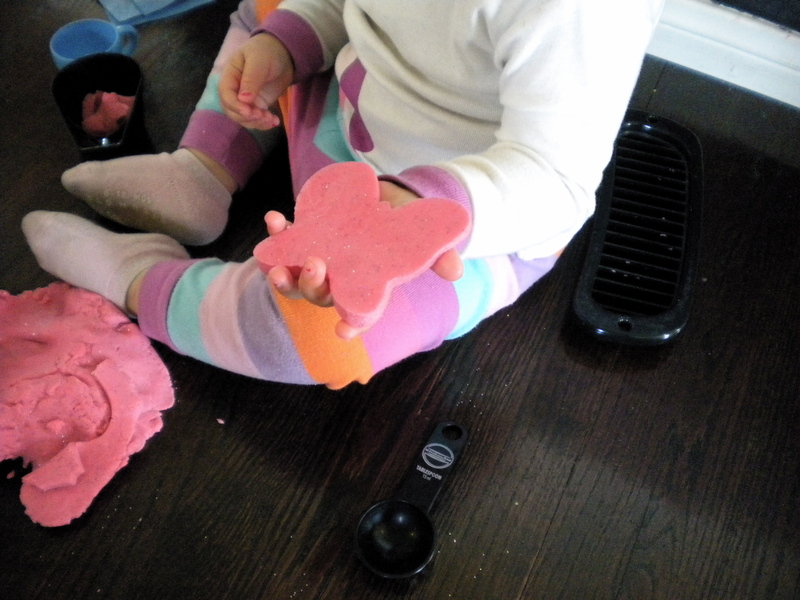 Making play-dough was a close second because of it's cook time + play time, but I knew she was well over play-dough being exciting. So I broke out the pink and the shimmery. It's quite amazing what the interpretation of a single word can do: "princess". 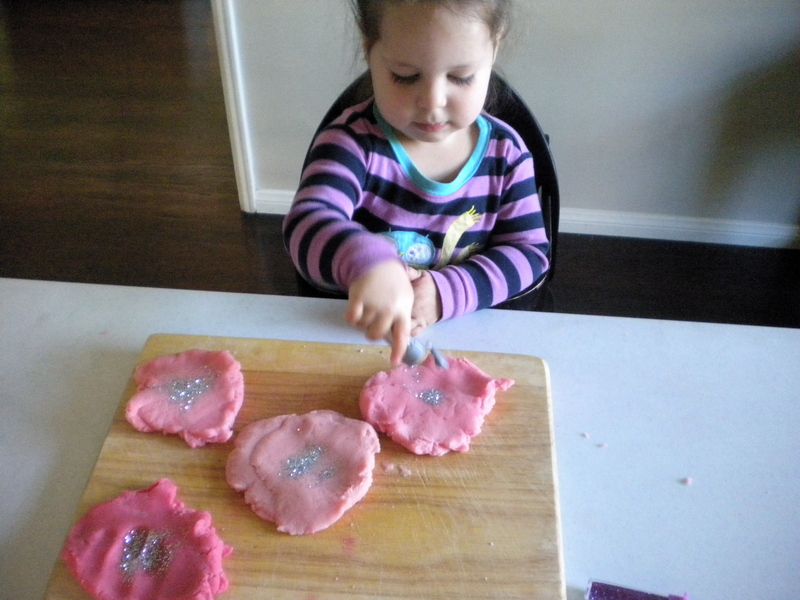 Hot pink food coloring + glitter = at least an hour of happy independent play (she even wanted to re-visit this activity the day after!). Thanks for the idea Shterni!! P.S. 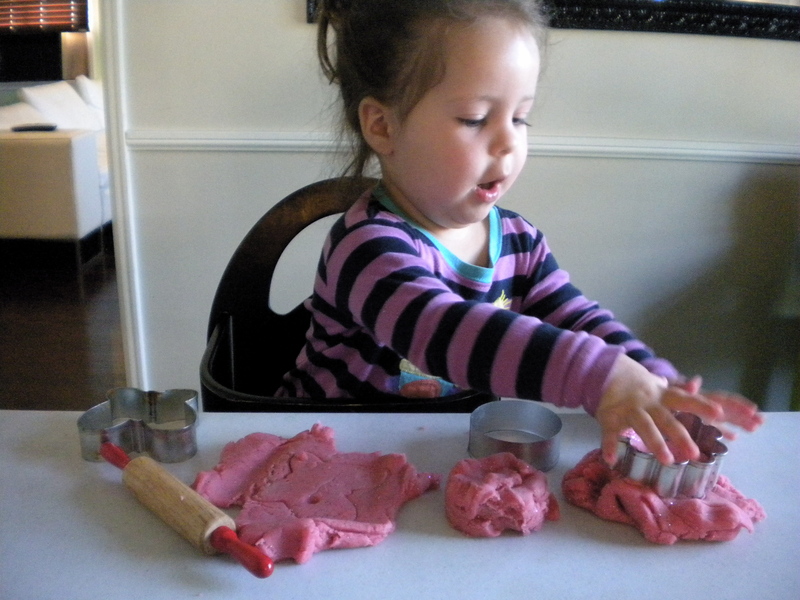 I used this play-dough recipe, and here's more ideas for play-dough play.